The GS5 Home Ground Batting net will revolutionise backyard cricket as you know it. Providing a spacious enclosure to accommodate all your shots, the GS5 will help you say goodbye to lost balls, broken windows and angry neighbours! Revolutionise cricket practice with the GS5 Home Ground Cricket Batting Net! The days of smashed windows and angry neighbours can be put firmly in the past with the GS5 Home Ground Cricket Batting Net. This cricket net will revolutionise how cricket practice takes place and it is the most affordable cricket batting net on the market. Optimise cricket practice by spending less time searching for lost cricket balls and hosting batting practice from the comfort of your own back garden. Games of back yard cricket will go to another level with no restriction or limit to the cricket shots you can play, hit it 360 degrees! 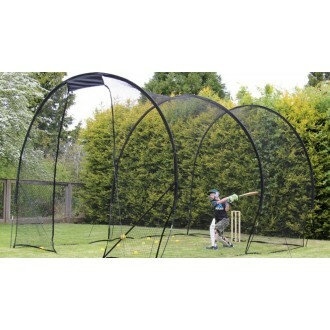 This cricket practice net is both portable and spacious leaving room to play a wide range of cricket shots! Practice backfoot shots like the pull shot and hook shot with high quality netting and fibre glass structure. Front foot strokes such as the cover drive, straight drive and off drive can be practiced to perfection using front curtain nets. The structure of the net means you can also practice the sweep, reverse sweep and slog sweep without the annoyance of lost balls or damaging windows or property! The net can easily be combined with a bowling machine to give the truly professional cricketing practice experience in your own back garden, cricket field or driveway! 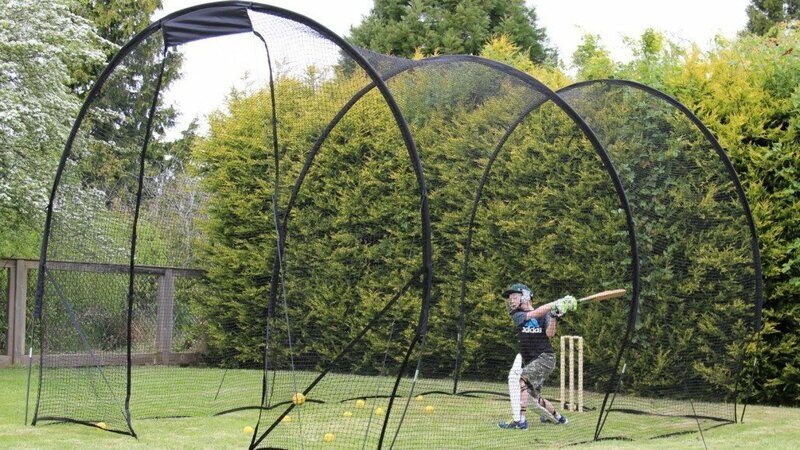 The GS5 Home Ground Cricket Batting Net will enable the junior cricketer to emulate cricket stars like Joe Root, Virat Kohli and Steve Smith from the safety of the back garden.